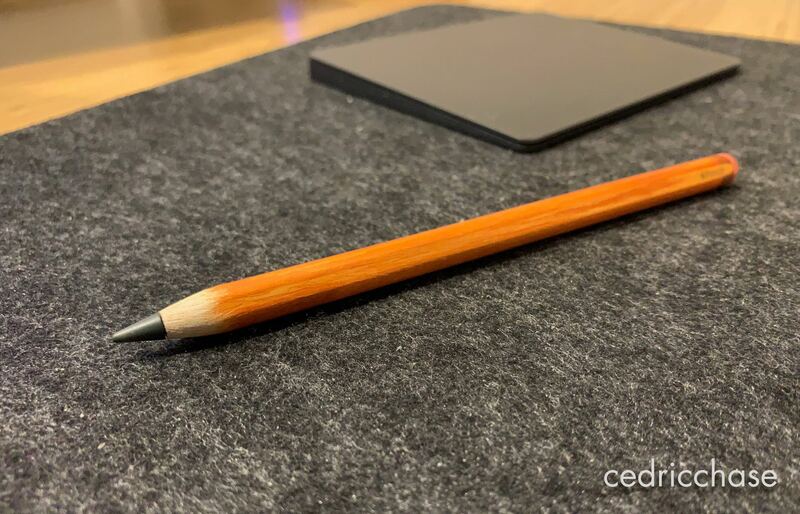 Cedric M. from Frisco, Texas, a passionate Apple fan, wanted his second-generation Pencil to resemble a real graphite thing so he sandpapered the plastic to create a wood-like texture. He then used some synthetic fabric dye along with a bit of paint for the realistic coloring. You may have already seen this because the images were posted in January. Having stumbled upon them recently, I wanted to share Cedric’s work here with our audience because end results, as evidenced by the images shared in his post on Reddit, are quite interesting. You’re not going to want to sand it if you aren’t planning on dying it or otherwise coloring it somehow. Simply sanding the plastic down will make it much more susceptible to absorbing oils/dirt/grit/grime from your skin and will probably look pretty gross in the short term. For those wondering, he used 120 grit paper. 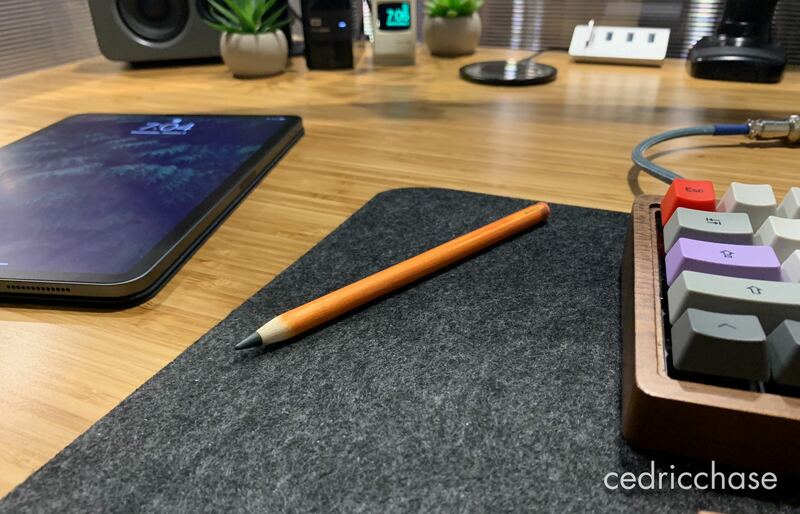 “Amazingly it feels exactly like a wooden pencil,” Cedric wrote, adding that the stylus is now much easier to grip due to the new texture making the device less slippery. “This is like skeuomorphic design for physical objects,” one Reddit commenter opined. 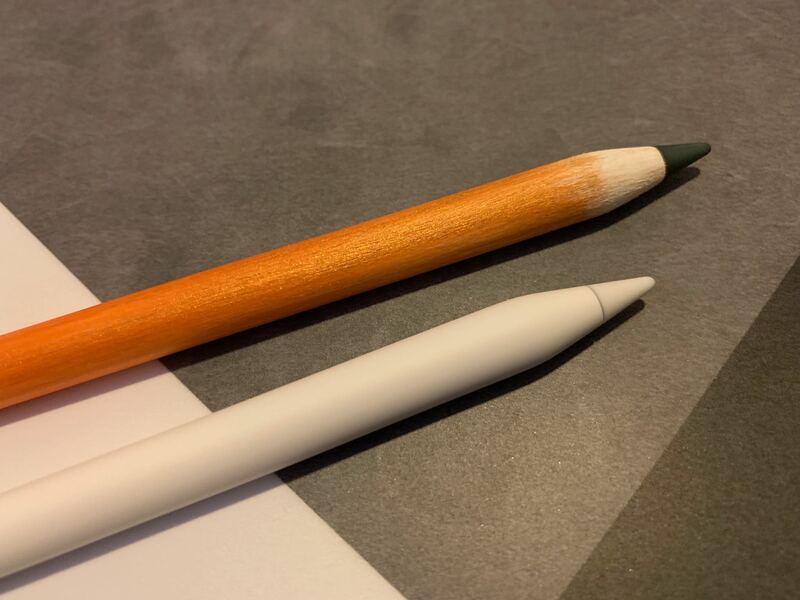 I saw a few decals for Apple Pencil 2, but didn’t like the idea of something that could be misaligned or peel. I experimented a bit with Rit dye and have some experience using it at my job—I knew that it could be used to dye plastics with relative ease. I wanted to replicate the texture and feel of an actual wooden pencil and was happy with the results I achieved with some careful sandpapering. 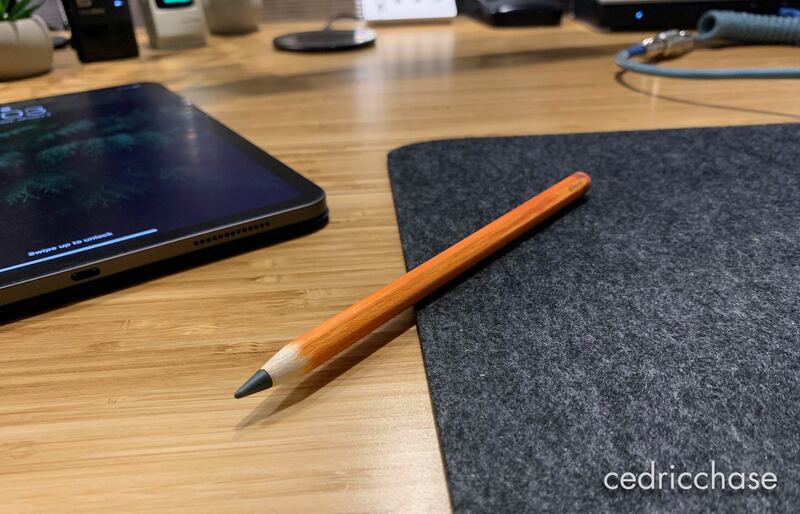 Just in case you have any doubts, no he didn’t simply took the Pencil’s tip and housed it in an actual wooden body. That said, please don’t try this at home. But if you must, you’re wholeheartedly recommended to read Cedric’s post beforehand. And don’t go overboard with the sanding!